They held hands as they walked, carefully navigating over fallen logs and rocks, the leaves crunching beneath their feet. The trees were newly bare, with a few leaves clinging desperately to the branches, resisting the cold breeze that swirled through the November air. 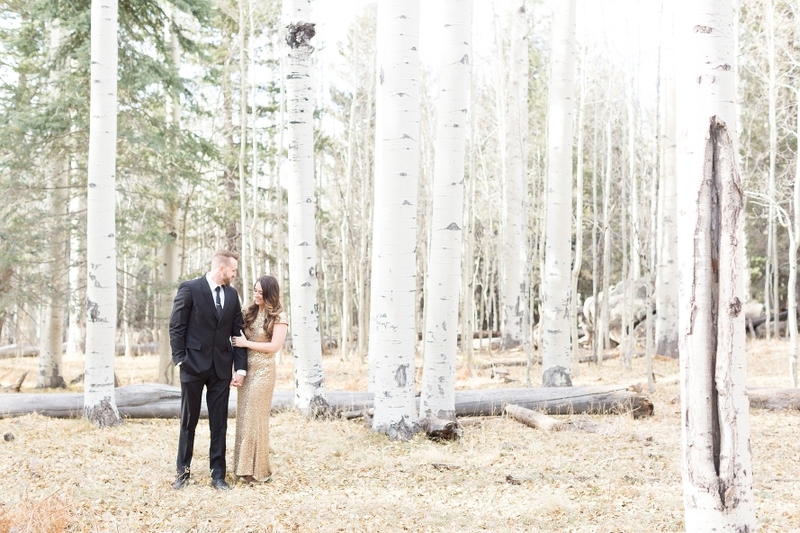 It was so incredibly quiet, say for a few other people enjoying the beautiful scenery, but this place seemed so serene and completely perfect for Juliana and Mitch to celebrate their love together. He wrapped his arms around her waist as she huddled into him, her frozen hands pulling him close by his jacket while they smiled through the cold. And it was cold. But looking at these two, you would never know it, as they emulate such a warm glow that it might as well be Summer. And I was lucky enough to capture that magic. 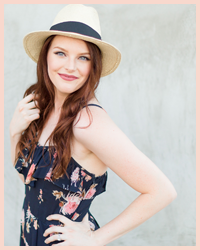 I kept hiding my smile behind my camera as it clicked because I didn’t want to make them laugh for the more “serious” shots, but I just couldn’t help it! This place was purely breathtaking, and these two are as well. 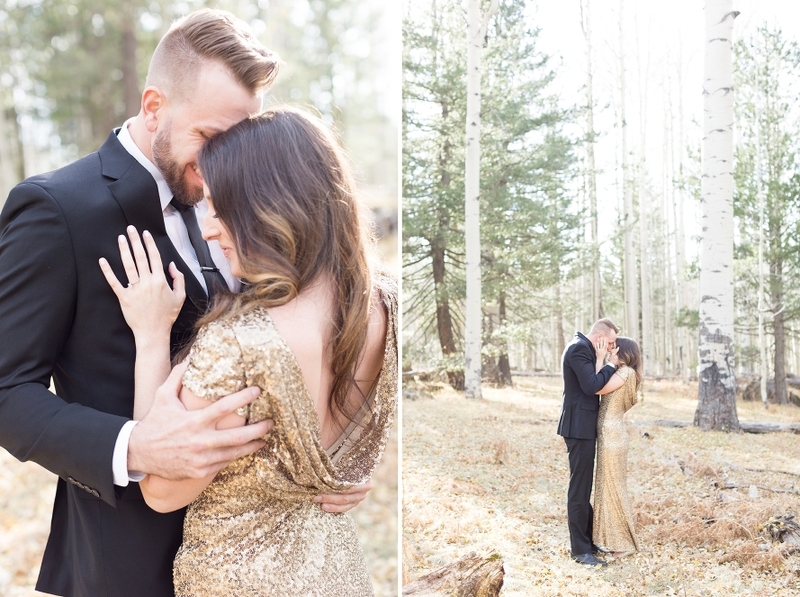 Her sparkly gold dress was so fitting for the enchanting trees that went on for miles, and his classic black suit was the perfect contrast to all that golden glow! Basically my dream come true, sigh! Juliana and Mitch, I am so honored to have been able to preserve just the smallest bit of your happiness during this exciting time! Your love story is so sweet and one I will always remember, just like our short time up on the mountain. Thank you for being absolute rockstars amidst the wind and cold (and a fussy baby at the end) and looking like you were straight out of a magazine despite the elements. It’s a true testament to your love. No matter how crazy things may get, you two will always have each other and you were SO meant to find each other. I wish you all the happiness in the world and so many more days shining in that magic glow you two create together. Also, many more days of champagne pops 😉 Cheers to you both!